Visit the beautiful islands of Andaman and witness its picturesque beauty along with the cultural heritage being provided by the tour to the cities of Golden triangle: Delhi, Agra and Jaipur. Come have an experience which is going to be worth every penny. Enjoy this tour of the Islands of Andaman and the Golden Triangle and have fun with Travel Site India!! Explore the streets of Delhi. Coral Island of the North Bay and Harbor Cruise. Scuba Diving and jet Ski at Havelock. Arrive at Delhi and check in to the hotel designated for you. Take rest for the day. Overnight stay at the hotel. Visit the popular hotspots of Delhi like the Jama Masjid, the Laxmi Narayan temple, the Sansad Bhawan, the Red fort, the Rajghat, Humayun’s tomb and the Qutub Minar Complex. Rest for the day at the hotel. Cover the journey of 211 Kms from Delhi to Agra. As you reach to Agra, check into the hotel booked for you. Take rest and then visit places like the Taj Mahal, the Agra fort- built in red Sandstone and also visit the tomb of Itmad- Ud- daula.Overnight stay at the hotel. As you reach Jaipur by road halt at Fatehpur Sikri and visit the relics of a town which include places like Panch Mahal, the Jal Mahal and the Buland darwaza. Upon arrival to Jaipur, check into the hotel and take rest for the day. 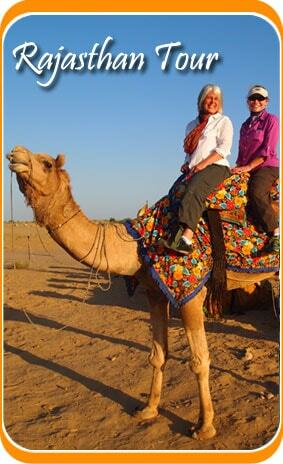 Explore the “pink city” and go to places like the Hawa Mahal, the fort of Amer along with a ride on elephant back. Visit the Sheesh Mahal and Ganesh pol at the fort. Visit the Jantar Mantar and in the evening explore the street markets of Jaipur. Drive from Jaipur to Delhi and check into the hotel as you reach Delhi. Visit places like Akshardham temple for the day. Stay at the hotel for the night. VBoard a flight to Port Blair on this day. As you reach there, check in to the hotel and take some rest. Visit the Cellular Jail, the Anthropological Museum, the Fisheries museum and explore the Corbyn’s beach famous for its shape. Stay at the hotel. Cruise through the islands of Andaman such as Ross Island, Viper Island and North Bay Island also known as the coral island. The coral island can be explored through scuba diving or through glass- bottom boat. Come back to Port Blair and stay for the night. As you reach to Havelock Island on a ferry from Port Blair our representative would take you to your resort. After some rest go to the Kalapathar Beach, famous for its serenity. Take a stroll through the beach and enjoy your time with your friends and family. Stay overnight. Visit the Radhanagar Beach, a very famous beach listed on the top 10 beaches of India. It is also known as the beach #7 because of its mesmerizing beauty. Check into the hotel for night stay. After a hearty breakfast, take a trip to Mount Harriet, also the third highest peak of Andaman And Nicobar. Also visit the National Park, nearby, which is known for the variety of species of flora and fauna it hosts. Return to Port Blair. Rest of the day is at leisure. Stay overnight. This is the last day of your ‘The Islands Of Andaman and the Golden Triangle’ tour. 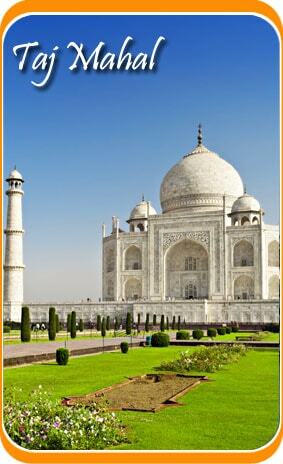 Catch a flight to home country from the Delhi Airport.